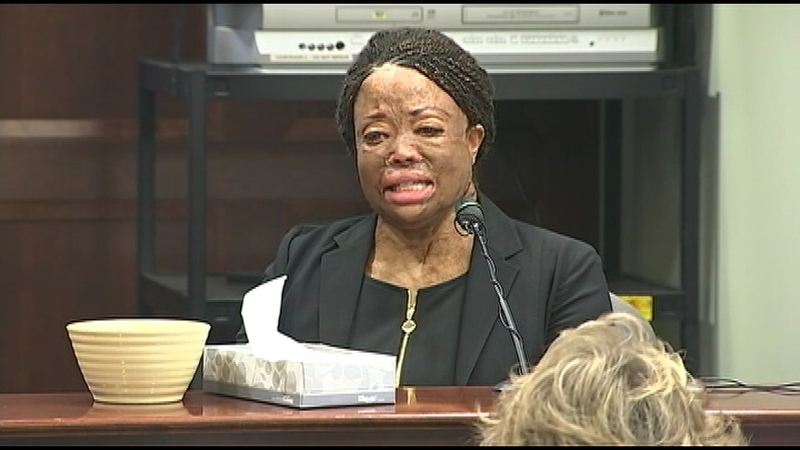 A Georgia man was found guilty of aggravated assault and battery in an acid attack that left his ex-girlfriend, Christy Sims, permanently disfigured. The attack occurred in 2013, when Sims was asked to bring her then boyfriend, Andrew Fordham, a towel. When she approached the bathroom door, she testified, he lunged toward her and threw sulfuric acid drain cleaner onto her face, chest, and arms. “I can't describe the pain. It's worse than any childbirth I've ever had. Instinctively, because my eyes were burning, I went right to sink and started rinsing my eyes," Sims said. Fordham called 911. In the recording of the call a dispatcher is heard asking him if he'd washed Sims and put her in the shower. Sims, who was blinded by the acid, could not understand why he was not rinsing her off. "He said, 'If I rinse you off. It's going to ignite the chemicals,' and I'm like, 'What are you talking about? I'm burning. I'm on fire,'" said Sims. She says Fordham attacked her because he knew she wanted to break up. When asked if the guilty verdict was justice, Sims replied, "It is. I'm not going to rejoice that this man is going to jail, 'cause nobody has won," she said. "I'm like this for the rest of my life, and he's about to lose his freedom. Nobody wins here." Sims has had over a dozen skin graft surgeries. "In the process of all this legal stuff, I had had my face taken off and put back on every couple of months," Sims said. "You know what I'm saying? I should be able to rest."